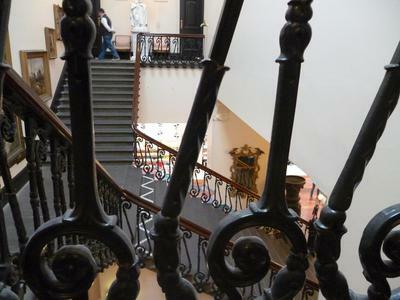 Formerly known as the Ballarat Fine Art Gallery, this Lydiard Street tourist hotspot is definitely worth a visit. With exhibitions from local and national artists as well as educational programs and frequent events, there's something for everyone. 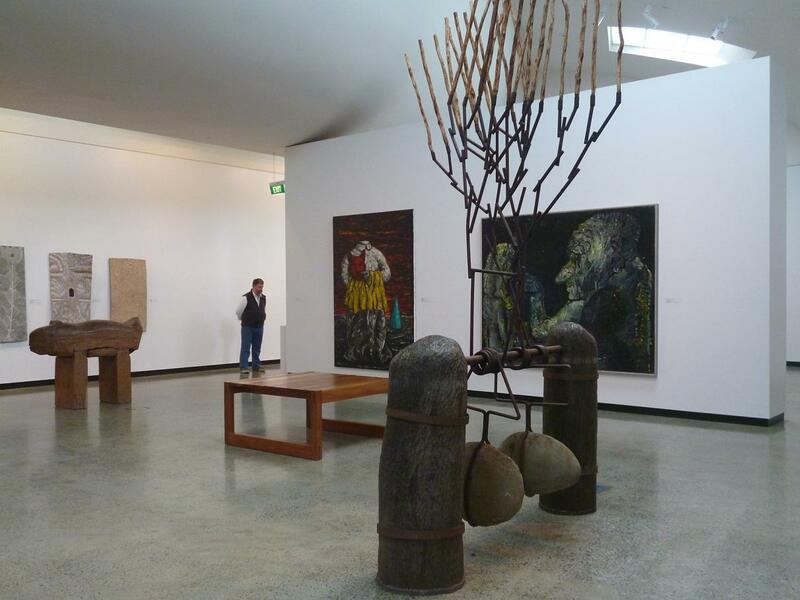 Their collection is impressive, with works by prominent artists such as Howard Arkley, Norman Lindsay, Albert Tucker, Sidney Nolan, and Nora Heysen. The ground floor of the gallery contains much of Ballarat's history, with not only art but artefacts showcasing the days of the gold rush. Most breathtaking is the original Eureka flag, made during the Miner's rebellion of 1854, which is modestly presented in a dimly lit room to preserve what is left of the delicate fabric. The Eureka flag depicts the Southern Cross, and is the first non-British flag sworn allegiance to on Australian soil. As expected, the Gallery is quiet, clean and peaceful. Works by Japanese artists sit in adjacent rooms to works from Arnhem Land, and I'm one of about fifteen people wandering amongst the collection on a Sunday afternoon. 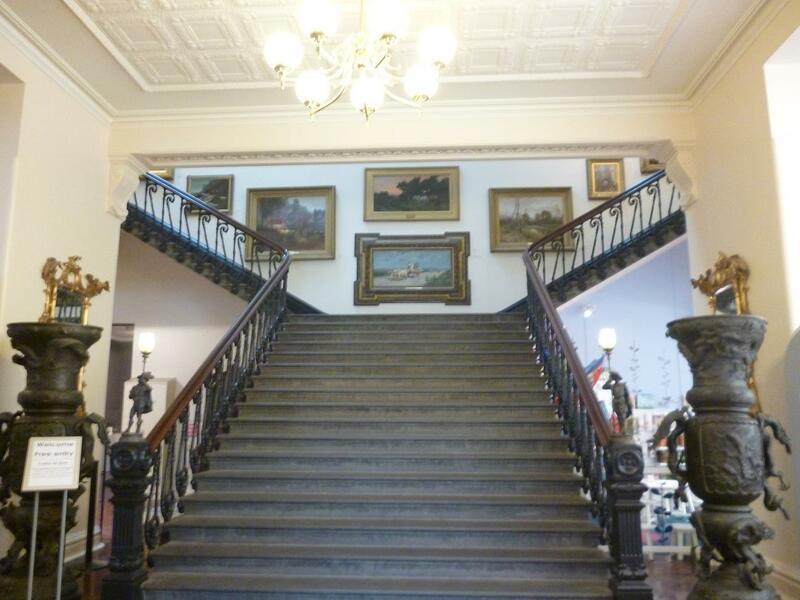 Even the building itself is impressive – parts of it date back to 1887 – so be sure to look at the walls, not just what is on them! I spent a fair bit of time in this gallery as a child – many times as a visitor either alone or with a school group, once as a participant in a printmaking class, and finally as a work experience student, where I went behind the scenes and discovered the workings of Australia's oldest and largest regional gallery. 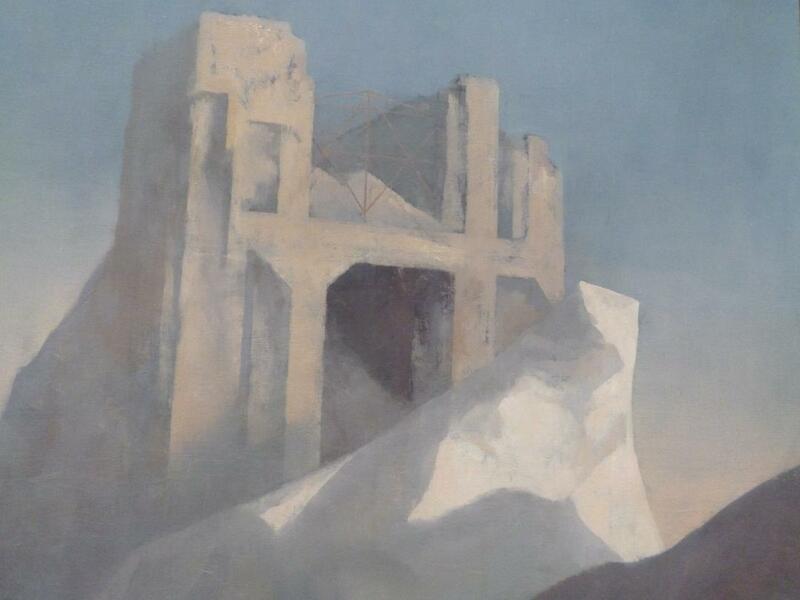 A section of one of my favourite works: Rick Amor's 'Study for the Dry Season', oil on canvas, 2003. Back inside, a staff member politely helps me locate a sculpture that I know has been part of the Gallery's collection for many years. "Up the stairs, turn left, and go all the way to the back". It's the only piece you are allowed to touch, and visitors have gradually worn this creature's nose and stomach smooth over years of doing just that. 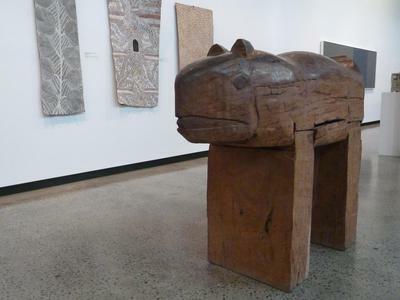 Redgum sculpture 'Tyger' by Bruce Armstrong, 1984. 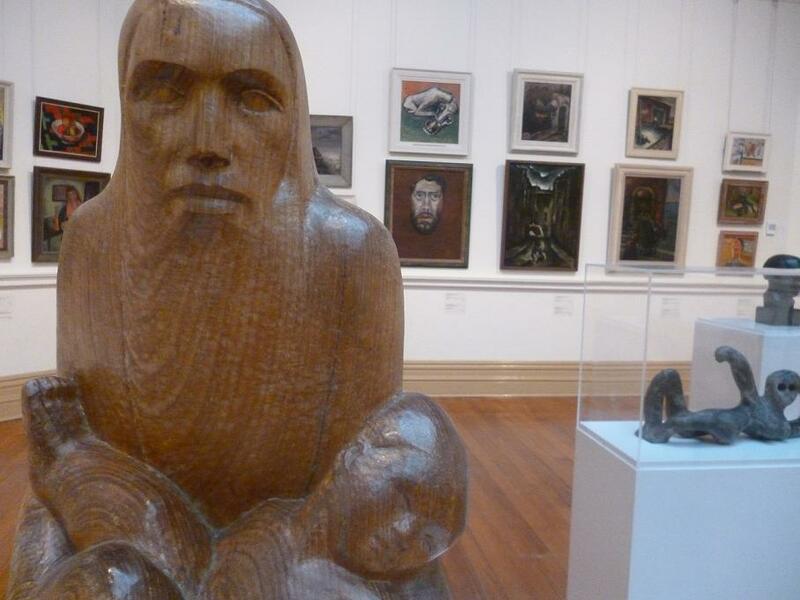 The majority of The Art Gallery of Ballarat's permanent collection is searchable through the website. Admission to the permanent collection is free, but special collections may incur a cost. Adjacent to the Gallery is the Gallery Shop, in which catalogues, books and gifts are available for purchase. There is also a small cafe. The Art Gallery of Ballarat is located at 40 Lydiard Street North, Ballarat. 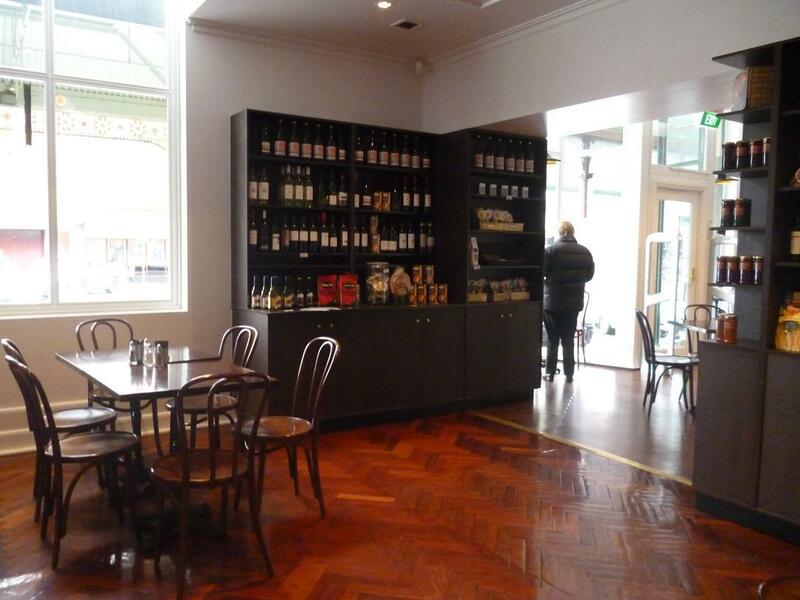 It's an easy five-minute walk from the Ballarat Train Station. You can visit their website or phone them on 03 5320 5858. Why? Australia's oldest and largest regional gallery. I liked both your photos of the staircase. 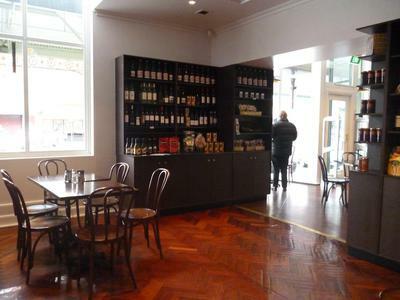 One of my favourite places in Ballarat.